In the last 20 years, Colombia has risen from being a low-income country to a medium-income country, but there are still problems with a key part of economic growth: Ordinary people still find it very hard to get a loan from a bank. With high GDP-growth and being recognised as one of the economies to watch in 2015 by Fortune Magazine, Colombia’s growing middle class are turning to services designed to help them find loans. This is largely because red tape and the need for often-absent written records makes it difficult to get a loan from traditional banks. There are more than 1.2 million so-called micro-enterprises doing business in Colombia. Small businesses making up an astonishing 96% of all companies in the country and employing 50% of national employment, according to a Vision Economica report. 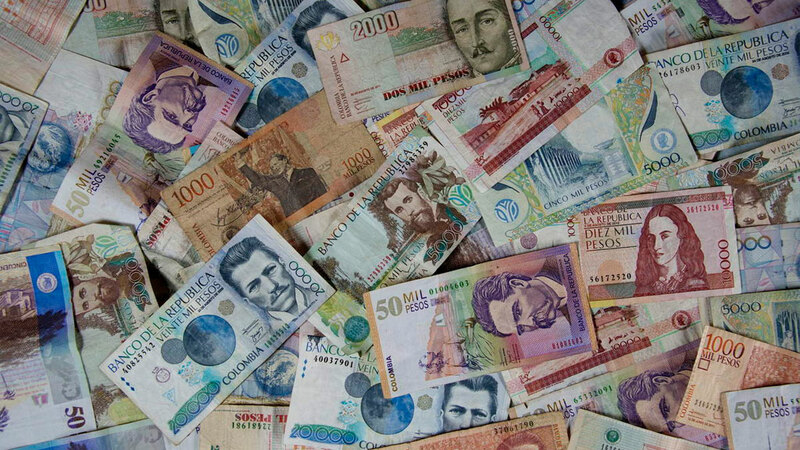 However problems for small business owners remain due to the lack of options available to Colombians through normal banking networks and a cultural mistrust of traditional banking reinforced by multiple high profile banking scandals in recent years. Coming into this space, is Medellin based MYTIC with their Finaxion system. With Finaxion, MYTIC aim to the bridge the gap between average Colombians and banks, with an easy to use online platform that assesses a client’s assets and credit history, and then offers a wide range of options available with clear information about the financial conditions included. The Finaxion platform aims to build confidence within Colombian society that banks are safe and accessible. By offering an online assessment, and a range of options from different banks and institutions, the process is much quicker, and may attract people who previously would not have queued in a bank for fear of rejection. “With FINAXION the user can get a credit for what you want such as a motorbike, a home or to study without leaving home or waiting in long lines,” said Sergio Echeverri, Manager of MYTIC. “This level of connection with individual banks and financial institutions will help our customers to make the best decision, achieve their goals and develop their projects,” adds Adrien Battistolo, one of the founders of the Finaxion platform. For those who have had very little dealings with banks and their complicated application systems, Finaxion offers to guide the user through the whole process, from the online assessment until the final loan payment is made through the online system. “We not only offer our users the best options but it also let them make all the management of their request, until the full disbursement of the loan via the platform.” Said Battistolo. Another company which is attempting to open doors for regular Colombians to personal and business loans is Bogota based Aflore. “In Latin America, 65% of people don’t use banks, because they just don’t trust banks,” Aflore CEO Ana Barrera told Colombia Reports in 2014. A number of foreign non-profit Microfinance organizations set up camp in Colombia such as USAID, Opportunity International and more recently Kiva. One of the first was Opportunity International, an international organization who offers loans to entrepreneurs from mostly developing countries, also offering continued mentoring and monitoring to ensure that the loan is used constructively. They state 98% of their loans are paid back in full.